In the past I have written blog posts with the theme of “true confessions—I needed to make major changes on this book.” In a way, this is one of those posts. 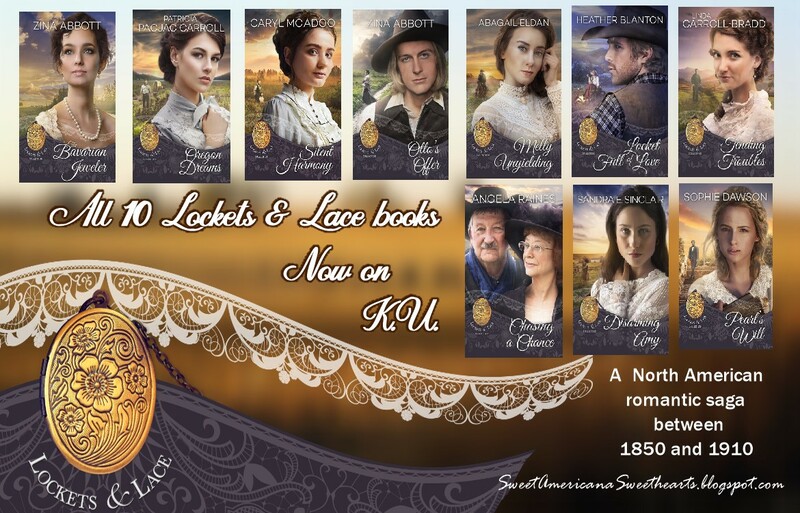 I, along with eight other authors, wrote and prepared for publication our books in the Lockets & Lace series scheduled to be released the last two weeks of January, 2018. The December holiday season was a busy time for most of us, myself included. 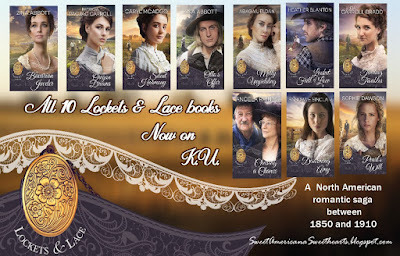 Perhaps it was because I also wrote the prequel for this series, but I found myself pushed for time to finish my full book for Lockets & Lace, Otto’s Offer. The main plot I have had in mind to write for years. However, the fine details, like some of my characters’ names, I did not choose until right down to the last minute. I needed my female protagonist (we used to just call that person the heroine) to be hiding behind an assumed name. I considered some of the more common surnames of English origin—Smith, Johnson, Jones and Brown—and settled on Jones. I felt Smith was so common a surname, sometimes people in certain circumstances using that surname can be suspect. At all costs, my heroine, Libby, could not afford to be viewed as suspect. I chose the name Jones, one I know is of Welsh origin and very common in the United States. 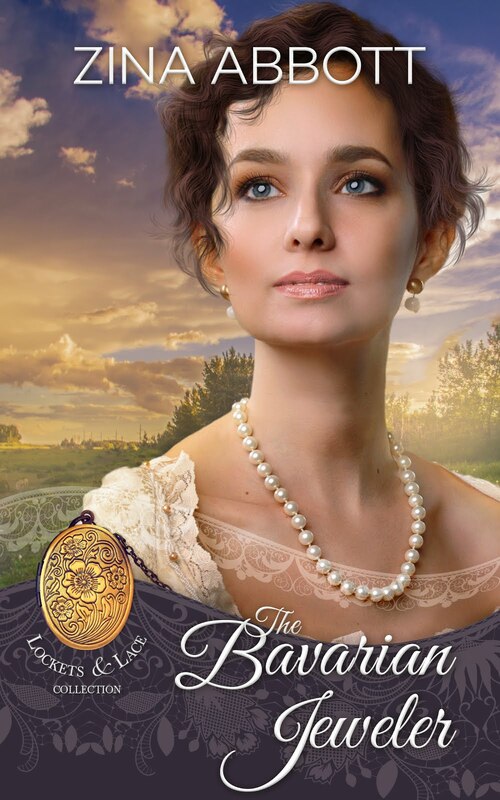 And, so, the process of getting our Lockets & Lace books published and promoted progressed. We had cover reveals. We had preorders with book descriptions. We offered snippets. The names of my main characters were out there in public view. I was almost finished writing this book when it hit me. I have used the surname Jones before. 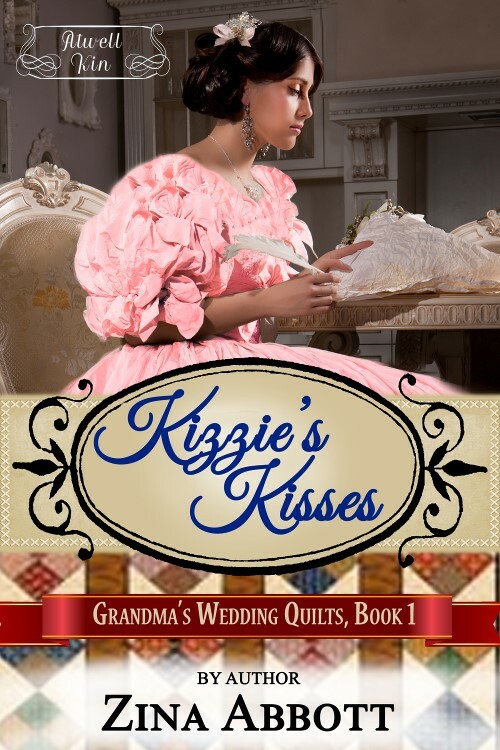 I have used it not in just any book, but in my Kizzie’s Kisses which was part of the Grandma’s Wedding Quilts series (GWQ), also by Sweet Americana Sweethearts authors. Kizzie ended up married to Leander JONES. If that was not enough, Otto in my current book is Kizzie’s cousin. All well and good, except I managed to write myself in a corner by coming up with two totally unrelated characters in two separate books, both having the surname of Jones. Somewhere from the time I was young I was taught if I was handed a lemon to make lemonade. Take something that was sour and inedible, and sweeten it up until it is a tasty treat. A few rewrites later, that is exactly what I did with the surname Jones in Otto’s book. I added a chapter with details that had not been part of my original plot. I reintroduced one of my favorite secondary characters from Kizzie’s Kisses. I used it to solidify the growing relationship between Libby Jones and the Atwell family and their connected kin. I should have chosen the last name Smith. That was actually my thought until I found a way to take that writing lemon of my own doing, and I turned it into what I felt was some excellent storyline lemonade. Oh yes, lemons and lemonade. Sometimes things happen, and we do the best we can. (As in the format and issue with my book). Thank you, Doris. Yep, no matter how hard we try, we find something gets past us and we need to scramble to clean things up. I'm looking forward to writing the rest of the series. 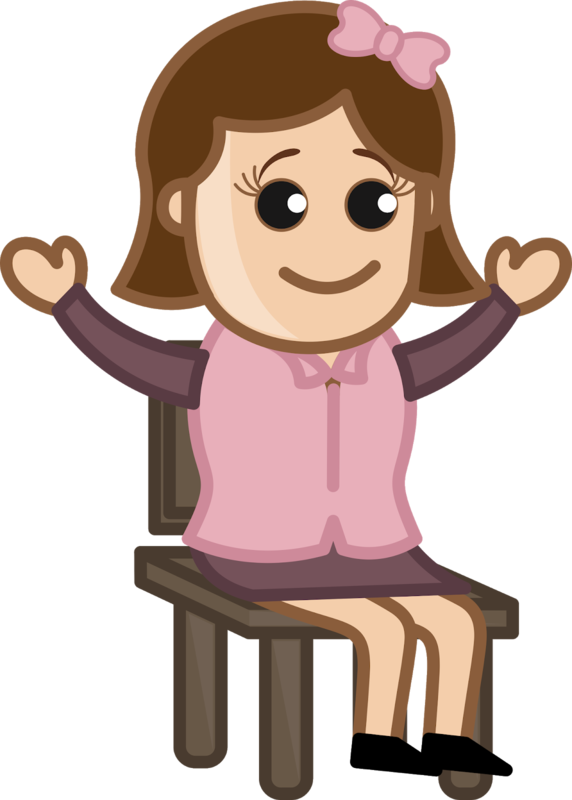 I like the fact you're sharing how authors are human, too. Plus your description sounds like fixing the "problem" just means you offered a bit more introspection so the reader got to know the character better. Thank you, Linda. I really liked the addition. It was a challenge to make it relevant to the story so it didn't come across as unnecessary fluff, but I think overall it worked well. I relate -- am realizing I need to keep family trees in my writing book and remember when to add a branch or two! I am a big believer in timelines and family trees, but I tried to store too much in my head this time. I now have a great chart for all my main characters, and where they are in each book if they should make an appearance as a secondary or tertiary character. Much better. I have long been tempted to try my hand at writing as there are more than one story lines bouncing around in my head. But, the more I learn about you and other authors I read, follow and learn about, the more in awe I am at what you all do. How you all pull them together, make wonderful unforgettable nectar out of what would seem to some as sour unredeemable lemons is truly amazing. Once again, I am left speechless and in a hurry to get reading! Writing is the fun part, but preparation, research and ORGANIZATION play a big role before and while the story is being written. It is when I try to take a shortcut or rely too much on memory I run into trouble. 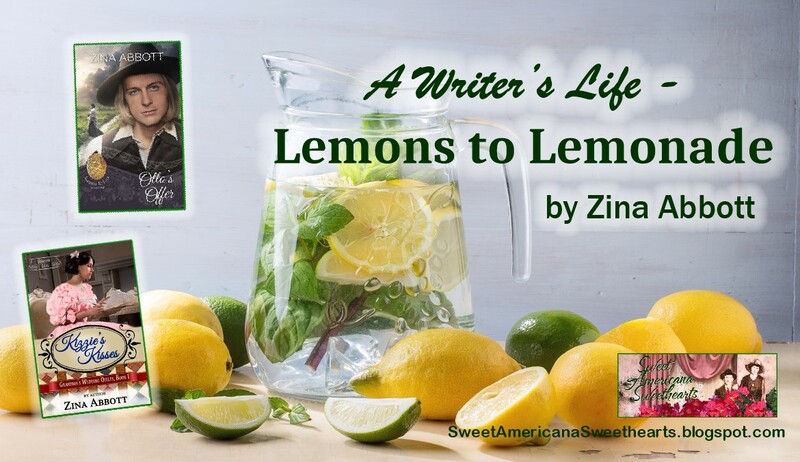 Thanks for sharing your lemons to lemonade story. It is comforting to know that other writers have the same problems as I do when writing my scripts. Dates, names and families, especially when you have a family in your main storyline and each person in that family has their own stories or episodes, in my case, and these family members have kids and 3 books later you have to figure in a 9 and a half month pregnancy to have a kid then add on to how old the kid was in a certain year and how old it would have to be several years later. I never realized how important math and organization skills are to a great writer! I am not doing a good job making my point, but these kinds of things and so many other "situations", etc. can quickly trap a writer between a rock and a hard place. It is so easy to write yourself into a corner. This contains a "SPOILER" - If you ever watched HELL ON WHEELS, I think they did that several times, but the part where Bohannon ends up trapped in the Mormon fort accused of fathering the child Naomi is expecting backed them into a huge corner. The fact they let Bohannon even "get" with such a young woman while her family offered him their hospitality of dinner and a place to sleep ended up leading that story line, which also involved several character's story arcs (like Ruth's, Ezra's, Elam's, Eva's, etc. ), into that dreaded corner. I even read Anson Mount say at the end of S3, when we realized he was going to be held there by the crazy Swede, pretending to be the leader/Bishop when the Swede had already killed the real leader/Bishop, that they were not sure how they were going to get his character out of that fort and what to do about the coming baby and his relationship with Naomi. These kind of details are often not discussed as much as they should be in writing workshops, etc. Thanks again for letting us see the process you worked through. A lot of good thoughts here, Connie. Yes, I find I have to be careful. The more I write, the more I have details floating around in my head, and I can easily get the stories to which they belong mixed up. Nice to know I'm not the only one.... Thanks for sharing your thoughts.